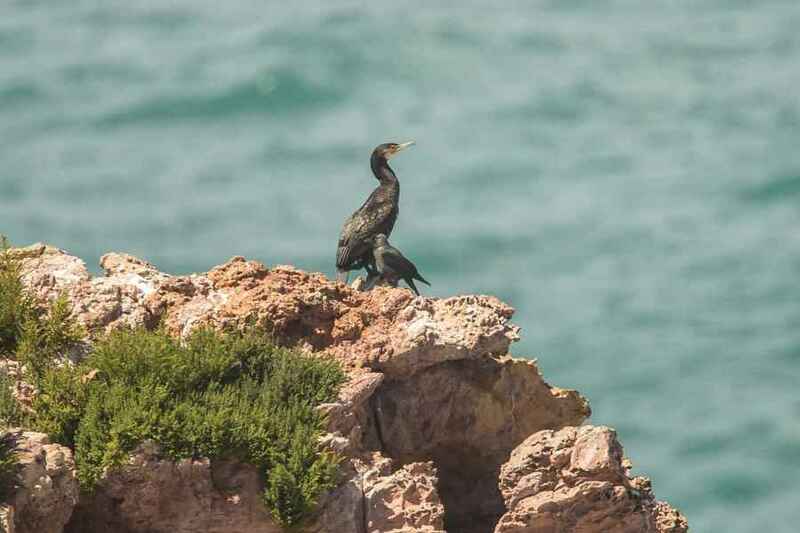 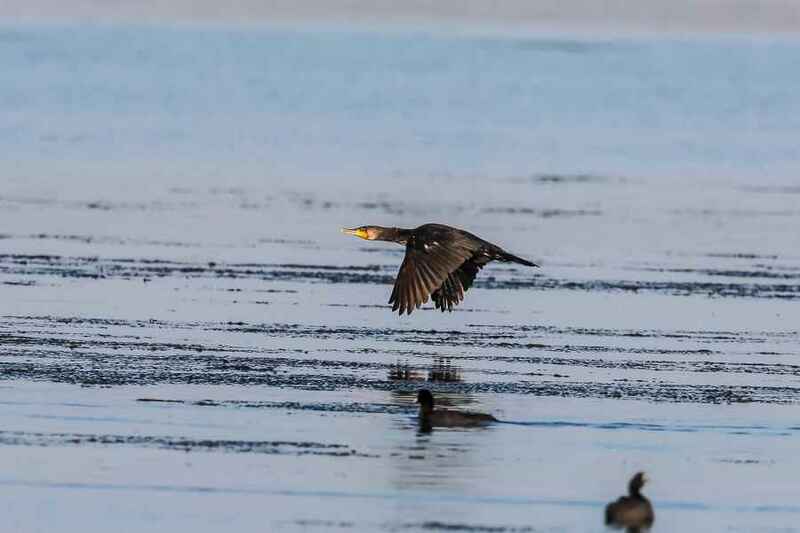 The Great Cormorant population continues to increase and can be seen anywhere there is water, on the coasts or inland. 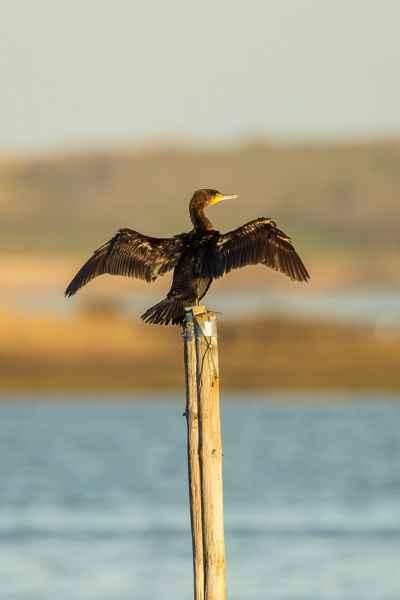 It is often seen fishing on the lake in front of the Quinta. 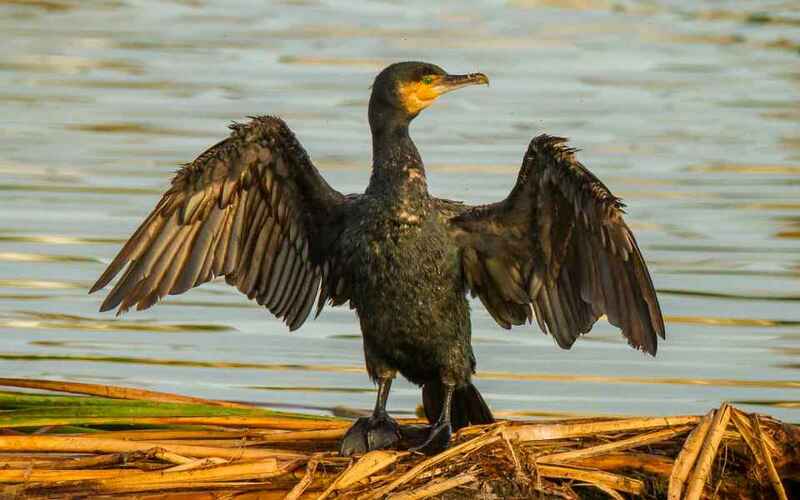 Resident throughout the year it has a surprisingly large amount of white in its plumage during breeding. 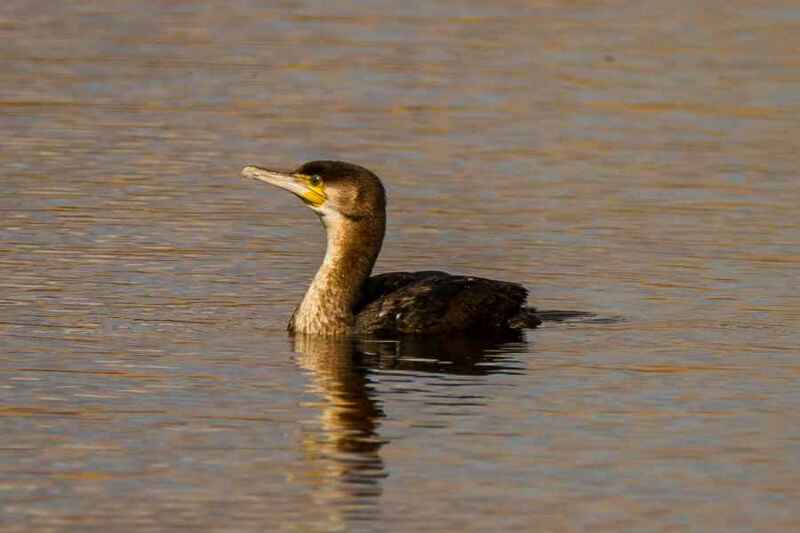 The yellow vertical wedge at the base of the bill is the best diagnostic feature separating it from the similar European Shag.